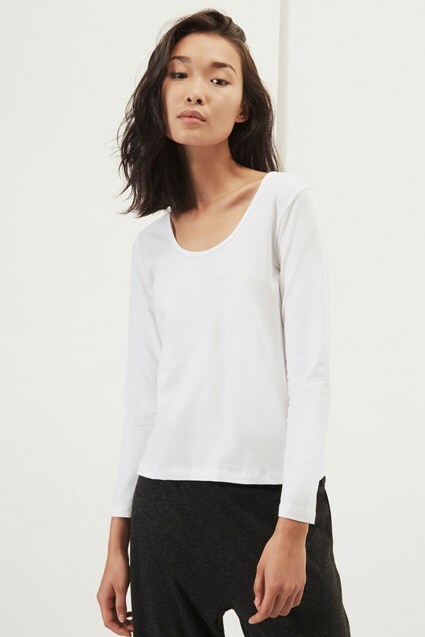 Take a minimalist approach to everyday dressing with this Fitted Stretch Vest from the Essentials Collection. Made to fit closely to the body and featuring a flattering v-neck shape, this piece comes in handy on hot days or layered under a light jumper for extra warmth. Our model is 5ft 11” and is wearing a UK size M in Optic White.